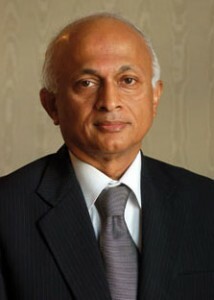 Ranjan Mathai is India’s new foreign secretary. The appointment is for two years, which can be renewed if the government so wishes. He succeeds Ni rupama Rao, who has been posted as India’s ambassador to the United States. Fifty-nine-year-old Mathai hails from Kerala, a tiny state in the southern part of India, which has produced many illustrious diplomats — V.K. Krishna Menon, KPS Menon, Shashi Tharoor, Shiv Shankar Menon, Nirupama Rao, to name a few. A 1974 batch Indian Foreign Service (IFS) officer, Mathai has a masters degree in political science from the University of Pune. He has held a string of high-profile diplomatic positions, serving in the Indian embassies in Vienna, Colombo, Washington, Tehran and Brussels. As joint secretary in the foreign ministry, he headed the division dealing with India’s relations with Bangladesh, Sri Lanka, Myanmar and Maldives between January 1995 and February 1998. He also served as the Indian ambassador to Israel from February 1998 to June 2001. Further, he served in Qatar from August 2001 to July 2005, and held the post of Deputy High Commissioner of India to the UK from August 2005 to January 2007. Mathai was serving as the Indian Ambassador in Paris when he was selected for the top job. India’s new foreign secretary is a quiet, low-profile gentleman. While such qualities are considered the hallmark of a seasoned diplomat, it is yet to tried and tested at the foreign secretary level. It will be interesting to see how Mathai fills the vacuum left by the prolific Nirupama Rao.